My birthday growing up was always really hard to accept. I’m a Christmas Eve baby, so any birthday party I ever wanted had to either be weeks before or weeks after. Everyone is always so busy during the holidays that it was so hard to actually “like” my birthday. My parents always did a really great job of making my birthday special in their own way, but I always felt like I was missing out. I always thought I would live vicariously through my children and throw them huge and lavish birthday parties. You know, the parties I felt like I missed out on. But instead, I think it instilled in me a kind of grounded-ness. While we do throw parties, we also keep birthdays special in that our children bake all their own treats. One of the things we started doing when our oldest turned 3 was allow her to bake her own cake and cupcakes. It has become something my kids look forward to since it’s one thing they get to do with mom alone. It’s also something they get to serve to others who come and celebrate their birthday. 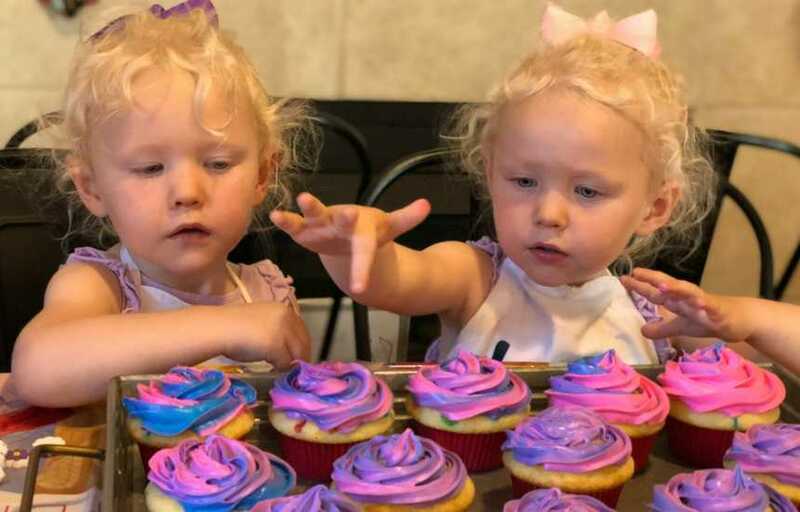 Our twins just turned 3 at the beginning of August. As hard as that fact is for me to accept, here we are! 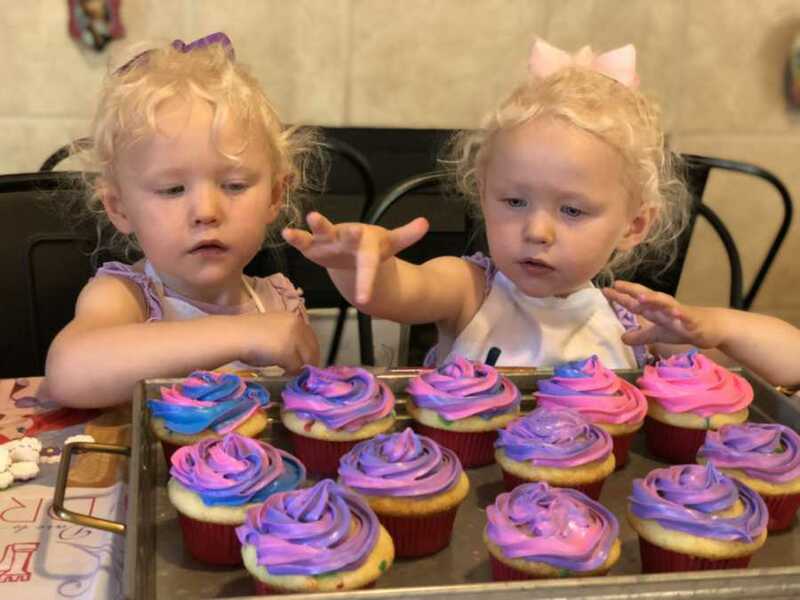 Together, they got to bake their own cupcakes. I gave them the option to do their own, but they chose to work together. They picked out the cake mix, frosting, sprinkles, and cupcake tins that they wanted for their birthday. They were able to make this whole event their own and they were thrilled to get started. Our oldest is five, so our children are very young. Since they truly aren’t going to remember their cake except through pictures years later, we want their day to bring on a new meaning. We want to instill into them at a young age that it can be fun to do things from scratch. Motherhood these days is crazy, right? I mean we’re constantly running around from activities to activities, trying to keep up with the ever-changing technology, and trying to give our children a great childhood. So I believe this gives them a really meaningful experience in their young lives they can look back on and smile about. We want them to have something really worthwhile to look forward to when their birthday comes around, instead of focusing so much on presents. It’s one thing they get to do with mom. It’s like our own little bonding time that only they get to participate in. It’s uninterrupted fun with their mama, something they don’t get a ton of on a daily basis. So for them, it’s such a special time. We hope to teach our children (once they’re old enough) they don’t always need the latest and greatest to have a fulfilling life. It’s a far cry from the way I was raised – being spoiled and getting anything I ever wanted. Maybe that’s why I try so hard to make their lives more meaningful than materialistic. We want them to know you don’t have to spend a ton of money to enjoy something so special. It’s okay to keep things simple, especially when they’re so little. We have five children so buying expensive cakes five times a year is just not feasible for us. Buying the basic cake mixes (or creating your very own!) costs a lot less. Plus, they get to stand in the aisles and choose all the decorations while envisioning in their heads what they want to create. They get to create their own masterpiece. It teaches our children the value of memories vs. things. It gives them treasured memories. Once my kids get older I am sure we will be out cake shopping. Or maybe they’ll get so good at this that we will always bake their birthday cakes! This is for all families who are looking for more meaningful experiences to incorporate into their children’s lives. 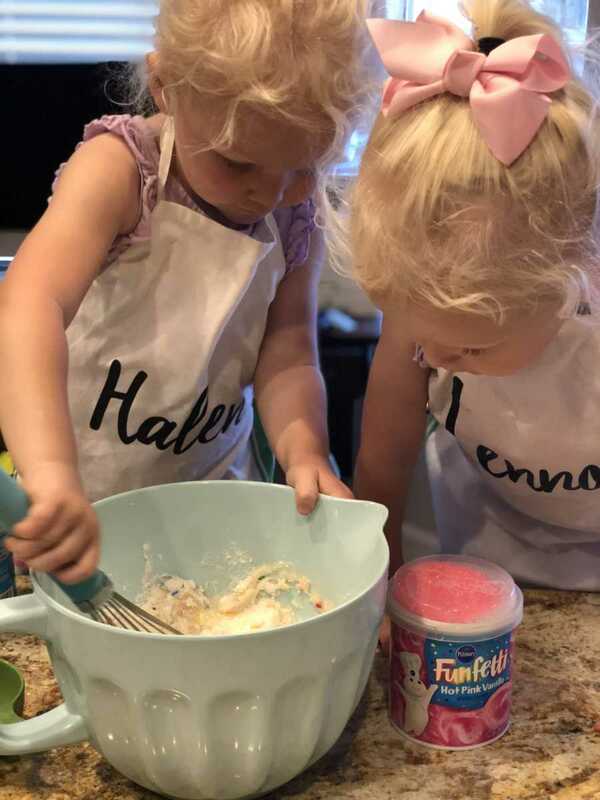 Even if you choose not to bake their birthday treats, baking on the weekends gives them fantastic memories as well. I want parents to know they don’t have to spend a lot of money to give their children a great birthday. Birthdays are special because it’s their day. We just get to accentuate it with happiness, fun, and most of all – love.